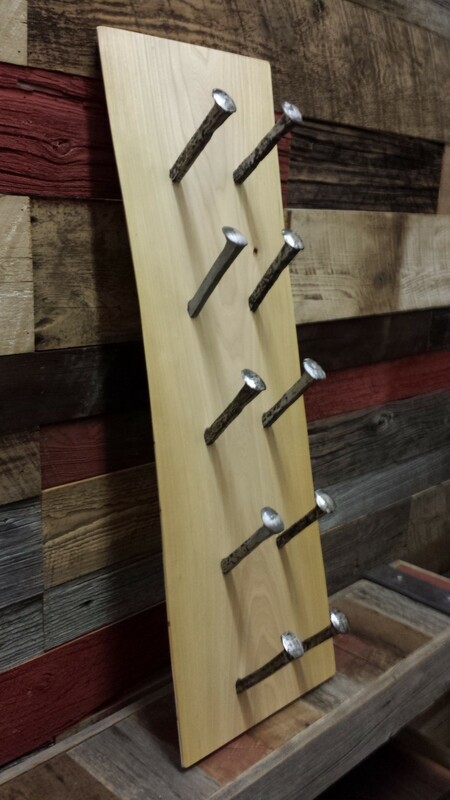 Elm Live Edge Wine Rack! 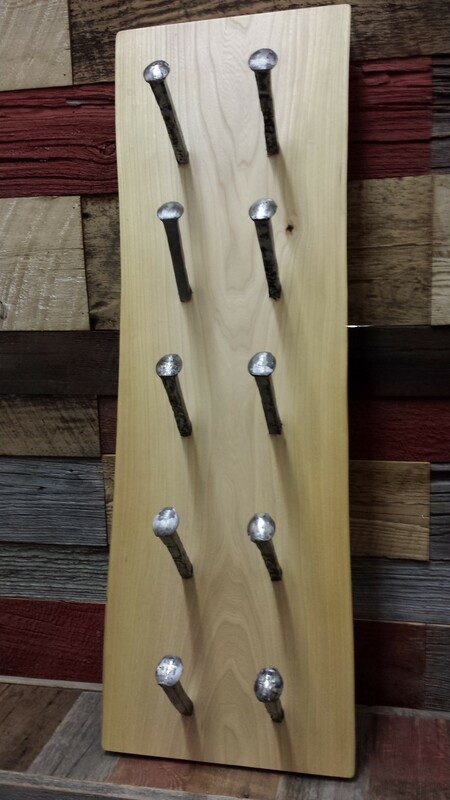 Here, we have made a wine rck with an elm live edge slab and railway spikes. 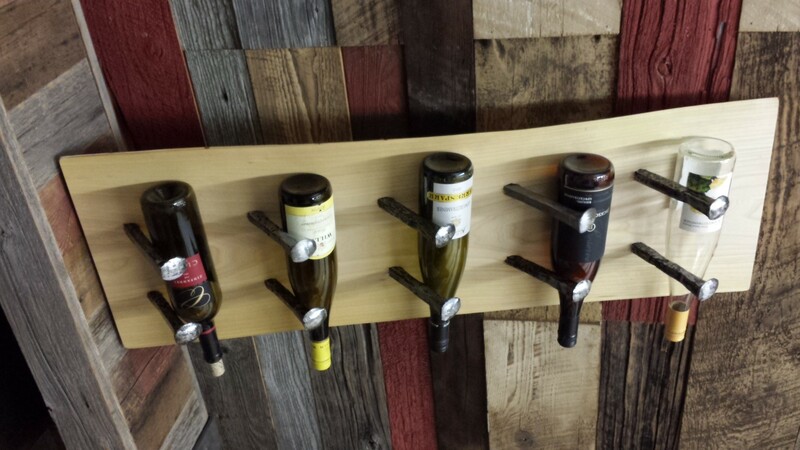 We cn make you one of these using any species of wood. For more information, call REBARN!